The question being asked worldwide is what’s the fascination with this Eastern belief system? 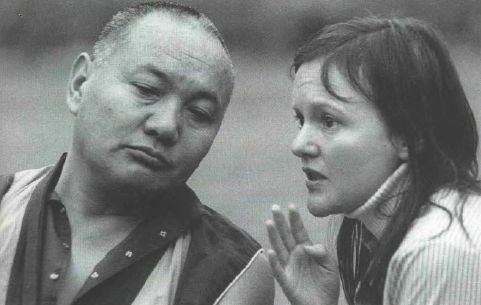 Vicki Mackenzie’s latest book, Why Buddhism?, went straight onto the best seller list in Australia and will be published in the United States and Europe in 2002. Nancy Patton spoke with Vicki Mackenzie when she was in Taos, New Mexico. NP: You’ve been writing books and articles about the love affair Westerners have with Buddhism for a long time. When did your professional life take this turn? VM: I met the Dharma 25 years ago, working as a journalist on a major British national newspaper. I had read nothing at all about Buddhism, but I was interested in esoteric spirituality as long as I could remember. T S. Eliot, William Blake, Gerard Manley Hopkins, arcane Christianity – they all drew me. I was brought up as a Christian, but the church ceased to satisfy me.